Julius "Dr. J" Erving revolutionized the game both on and off the court, his indomitable flair and style is second to none since the days he laced up his first pair of Converse and stepped onto the hard wood. 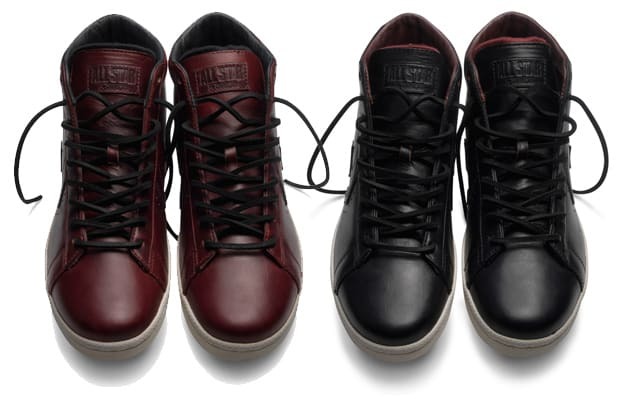 Converse honors Dr. J with the release of the Converse First String Dr. J Pro Leather "Horween" Pack. The pack recreates the classic silhouette of the Pro Leather 1976 and dresses it up in premium Horween Chomexcel Leather from the legendary Chicago-based tannery. Coming in two colorways, burgundy with black accents and an inverse version of black with burgundy accents with "Dr. J" embossed in gold foil on the outside side panel. Both pairs are limited to about 400 pairs each, with the black version releasing on September 10th and the burgundy later in November. Keep an eye on these to hit select Converse retailers for $90.